This class is being taught by our fabulous VJ Lammons, a former instructor at Brigham Young University Idaho, VJ knows her stuff and knows how to teach you the skills you need to succeed. Learn the basics of piecing a quilt as you complete a beautiful 9 patch quilt with sashing and borders. This is a 6-week course beginning May 15th and each Wednesday with the concluding class June 26th. 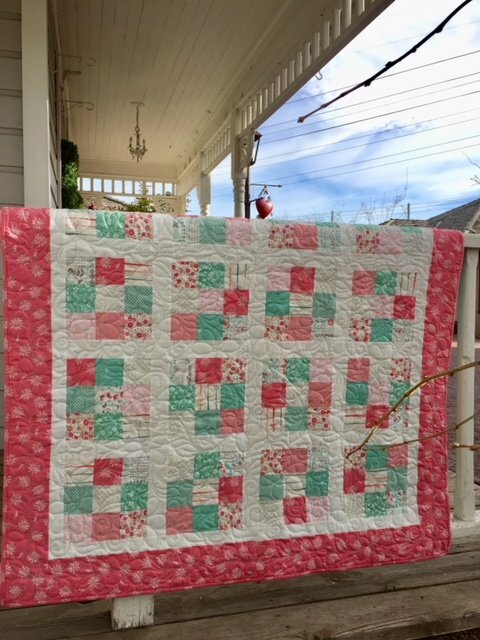 Skill level: if you have little to no knowledge regarding piecing a quilt, this class is for you! The only requirement is that you are familiar with your sewing machine. Class size is limited so sign up early. Requirements: Material list will be provided in your first class session. It is not necessary to bring any supplies to your first class.